[@website copyrights] Everything you need to plan and manage your eventsTM. Events Master offers event planners a one stop, subscription-based online service to conveniently plan and manage multiple events concurrently. Designed and field tested, Events Master has everything you need to plan, publish, invite, and track events as well as manage event expenses thereby saving time and money. You can avoid the stress of your next event with the only online service you will ever need – Events Master! No download or installation is required. No need to go to many places to accomplish your tasks. You can get instant access and start managing events, right away. Determine client's satisfaction on event services. There is absolutely no limit on number of surveys. You can run a survey for as long as you need. Easy to use tool is available to make and publish your one page event website. Ready-to-show items pre-populated with your event information are available inside the tool for creating a one page website in a shortest time. You are a well organized event planner and always like to create and review your checklist for the critical tasks of an event. Events Master offers a checklist tool and with this tool, you can ensure consistency and efficiency in carrying out a various tasks of an event. The expenses associated with event planning can come from a number of different places and you would like to put together the outline of event planning expenses and plan an event budget, accordingly. Events Master has built-in tool to keep track of your expenses such as On-site Expenses, Venue costs, Food & catering, Audio/Visual costs, Third-party Vendors, Event, Decoration expenses, and any many more. 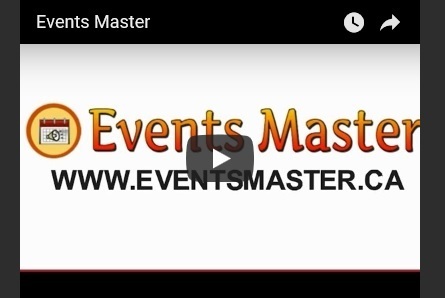 Events Master offers a tool to design, print and email your event tickets and passes. Each ticket & pass has a unique barcode to identify & mark the attendance at the venue using a smartphone or barcode scanner. After scanning the barcode, the system will update the event attendance in real-time. Monetize your events and give sponsors more opportunities to excel. Each Events Master subscriber account gets a centralized storage for keeping the information of exhibitors. You can pull information of one or more exhibitors into your future events without having it to re-type thereby saving time in creating new events. Your event has many programs and you want to create a list of programs and publish it on your event website and flyer. No problem! You can store information of event programs and the built-in tool will assist you in creating program schedules that you can publish on your website and flyer with the click of a button. You would like to manage activities and set the reminder on those or important milestones. Reminders are available to create scheduled alerts for yourself, your staff and attendees. 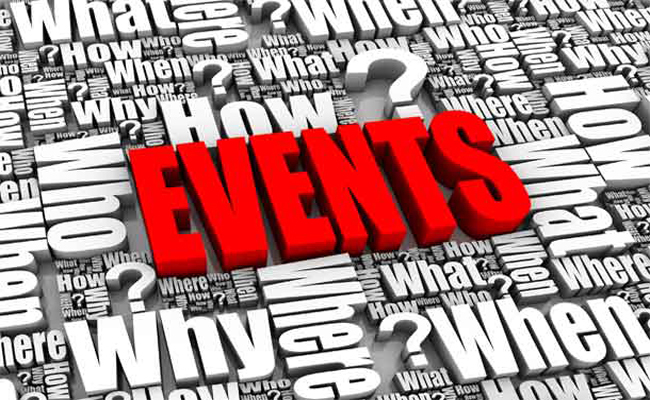 Events Master has tools to broadcast your event information over the internet. Spread your event information using the built-in email broadcaster, and social media links. Each Events Master subscriber account gets a centralized storage for keeping the information of suppliers. You can pull information of one or more suppliers into your future events without having it to re-type thereby saving time in creating new events. Business intelligence tools are available to transform raw data into meaningful and useful information for business purposes. These tools help you identify and develop new opportunities. You are a professional event planner and would like to make use of business intelligence to implement an effective strategy and provide a competitive market advantage and long-term stability. At the end of the day or an event, you can generate various business and financial reports that would help you evaluate the performance and improve on your event results. Interested in Events Master? We offer one month free trial on any of the accounts. View and select your account plan and start managing your event successfully, today. This is an attempt to know challenges faced by you during planning and organizing an event.